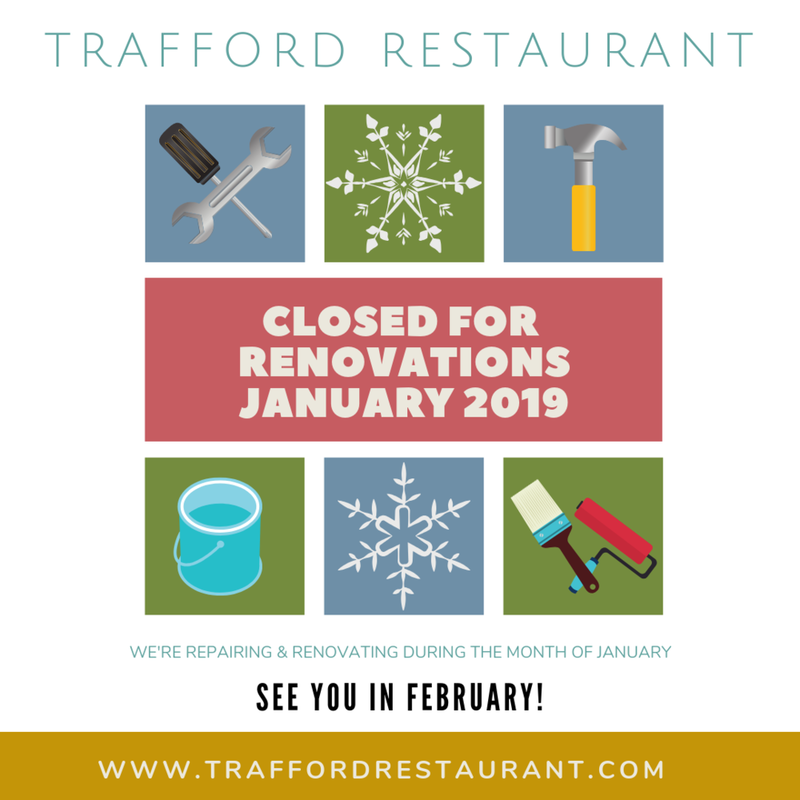 We are closing from Wednesday, Jan, 2, 2019 - Thursday, Jan. 31, 2019 for repairs. To wrap up the holiday season, come to our New Year’s Day all-you-can-eat Brunch Bash on Monday, Jan. 1 from 9am - dusk to help us celebrate a great season before we close in January for important updates and renovations. We look forward to opening our doors again in February! It will be a busy month with a new Beer Night, our third Flower Night right before Valentine’s Day, and a special Valentine’s Day menu! Stay tuned.